I’ve received the unique original items from shipbuilder. 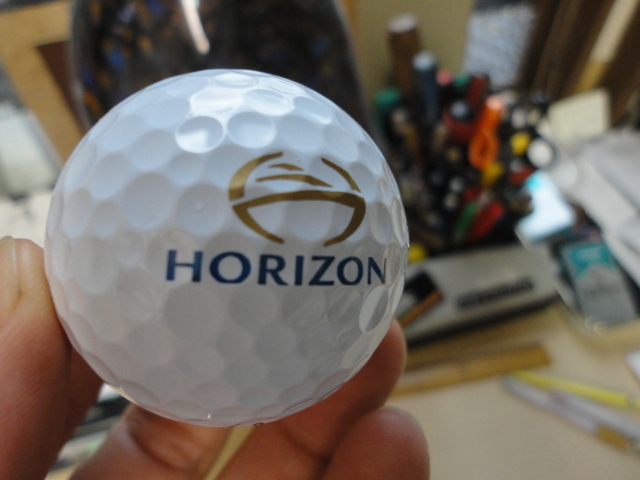 I found original golf ball and unique USB interesting. 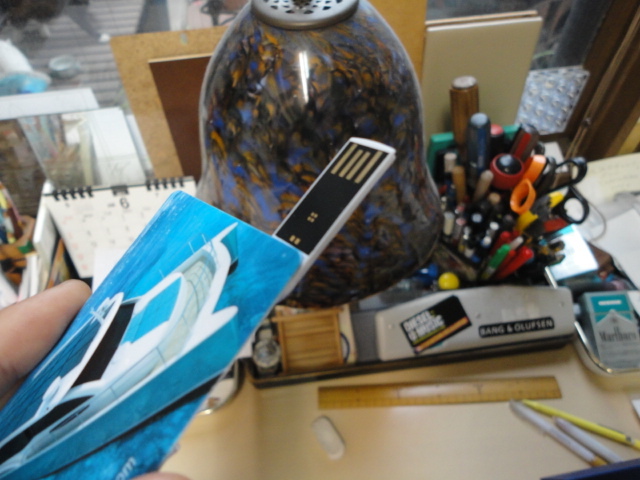 I’ve never seen such a unique USB memory stick. The country’s main strength is IT, so there is variety of PC related items, I guess. 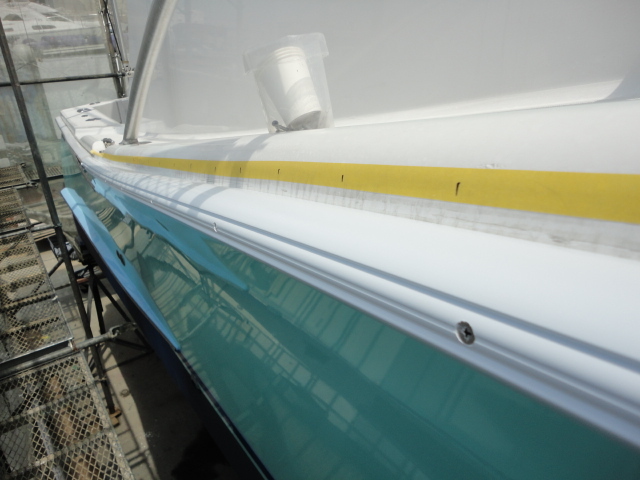 The boat got new hull paint and gunnel. The package comes from oversea, almost every packages fly over Japan, stop at Taiwan or Singapore, and fly back to Japan. It takes quite a bit lead time. The sea freight and fly freight goes to China now. Japan is used to be a hub of freight, but now is Korea or Taiwan. I have to estimate enough lead time when I need foreign materials. I’ve changed my office layout to add 2 new desks and chairs and shelf. 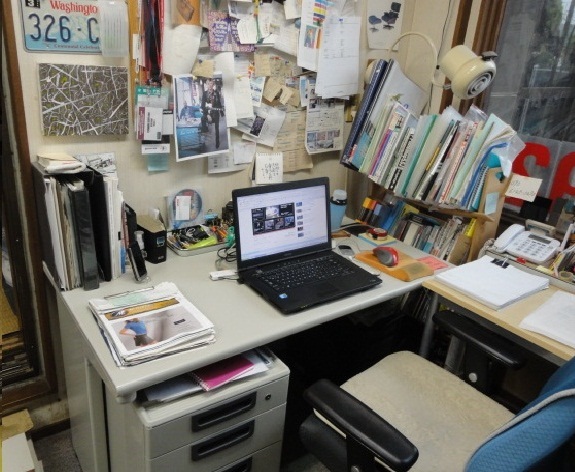 I’ve got office furniture from my friend company’s owner. Shelf goes meeting table and display some arts, like glass art. Width 1200mm desk is big enough to work effectively. 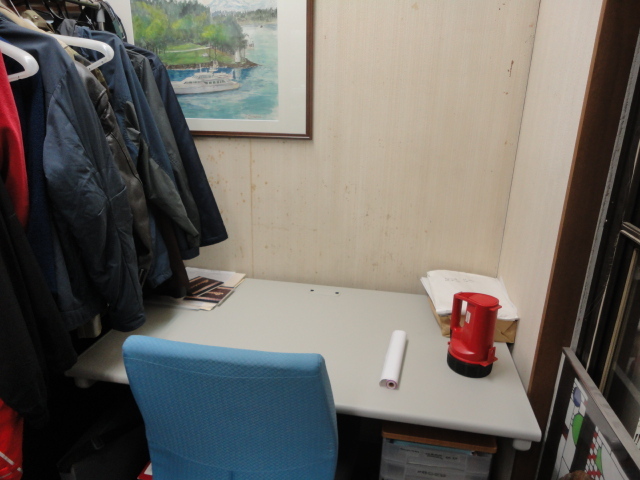 New desk is waiting for new stuff of my company. 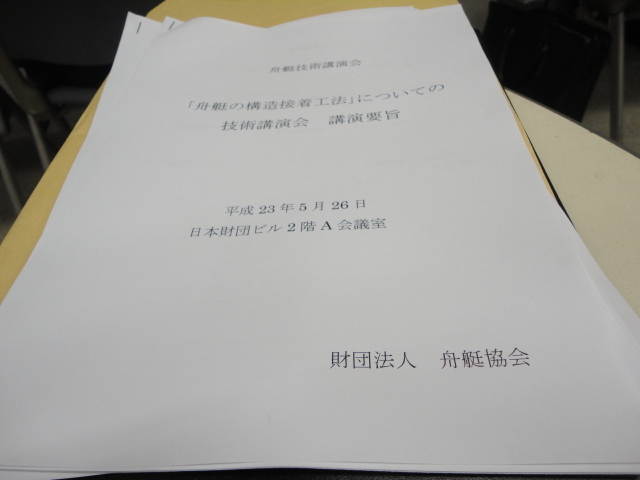 I attend the conference of The Boat Association of Japan, theme of “The new way of Boat Building”. 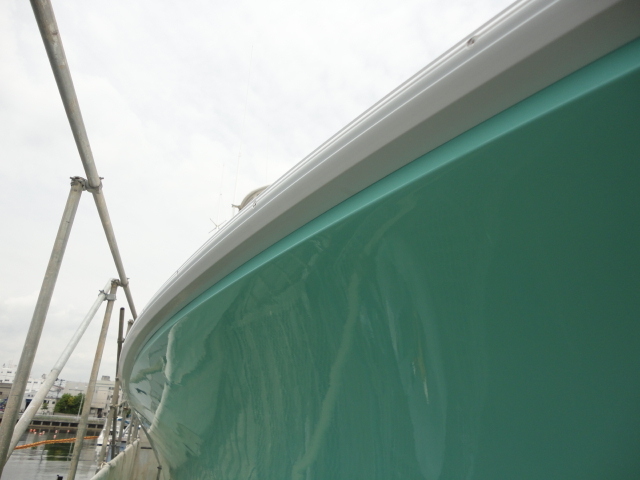 It is a popular boat building way to use the Epoxy or Urethane adhesive in the world. But, in fact, it’s just coming this new wave in Japanese boat building. 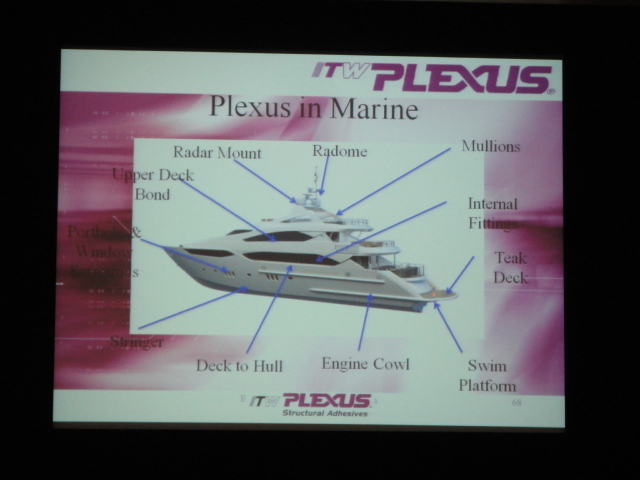 Plexus rep, such a great adhesive manufacture, explains how it works. 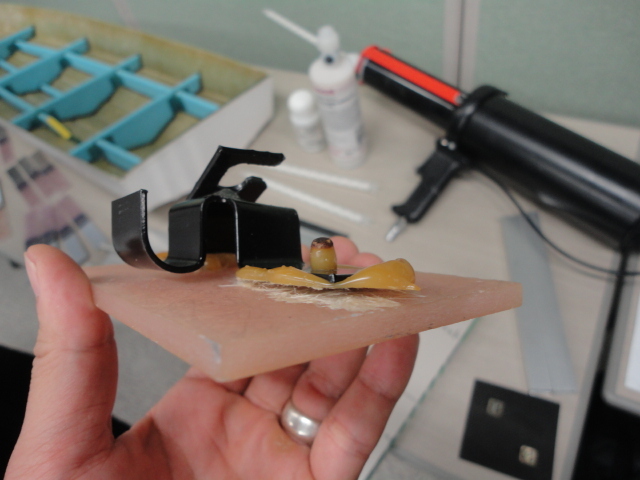 A naval architect shows which part of boat building to be able to use adhesive material. 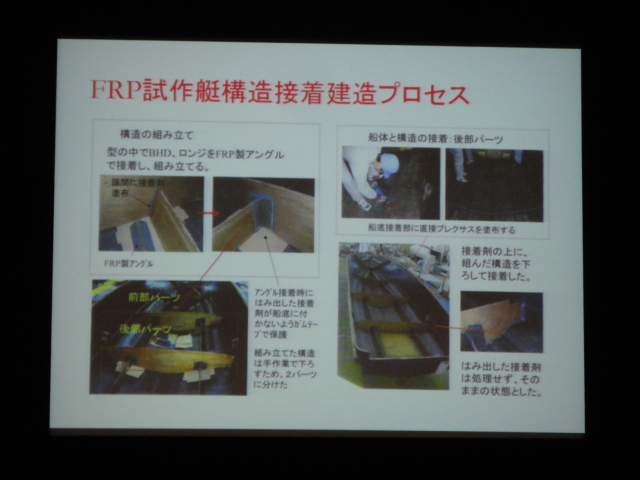 And boat association of Japan’s rep told how to approach to the status of Japan boat building regulation. I could meet different boat building field people and had a good chat. I’m so sure the boat building will be this way. I really like Audi’s CI. I exactly think same way as catch copy. I have to make a time to imagine my big business scheme and create something new.